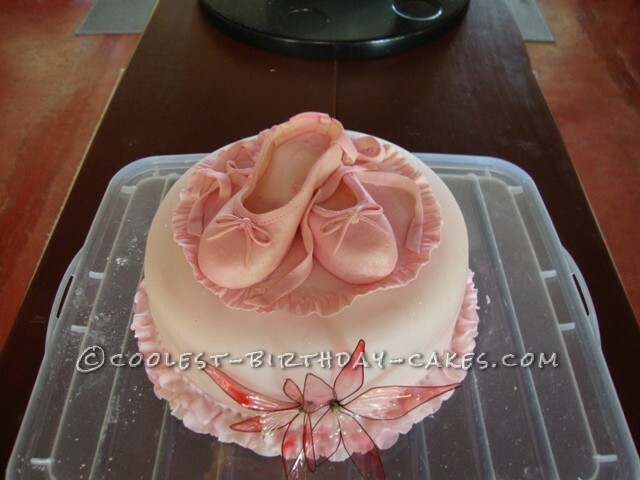 I made this Ballet Slipper cake for a friend’s daughter-in-law who was a dancer and now is a dancing instructor. 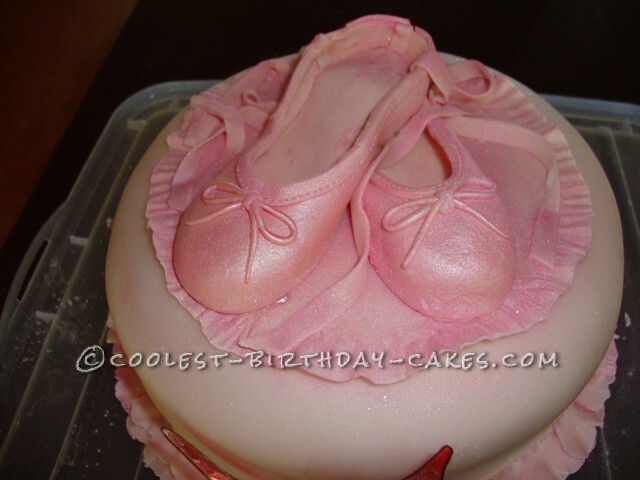 The ballet shoes were a challenge to do. I used a template found on the internet and then just through trial and error and a bit of luck managed to make them look like ballet slippers – I think! They were made out of gum paste – I live in Kenya and sometimes the climate plays havoc with things like homemade fondant and gum paste. There was a slight mishap along these lines with these slippers. Once I thought they were dry enough and assembled them on top of each other – they became tacky and almost melted into each other. 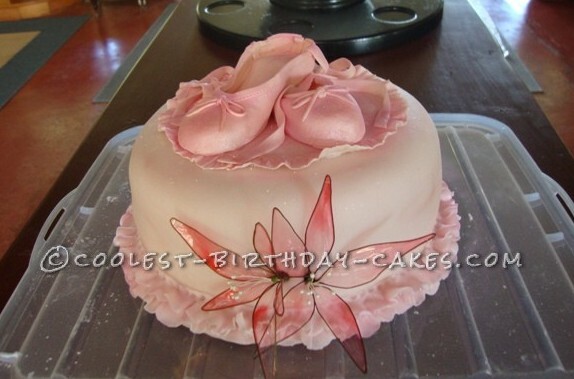 The cake itself was chocolate covered with homemade fondant – and fondant ruffles around the bottom. The flowers were made out of colored gelatin wired together. I then dusted the shoes and ruffles with shimmering petal dust and a bit of glitter for good measure. Thank you for looking.